The former Soviet republics of Central Asia comprise a sprawling, politically pivotal, densely populated, and richly cultured area of the world that is nonetheless poorly represented in libraries and mainstream media. Since their political incorporation in Stalin's Soviet era, these countries have gone through a flash of political and economical evolution. But despite these rapid changes, the growth of oil wealth and U.S. jockeying, and the opening of the region to tourists and businessmen, the spirit of Central Asia has remained untouched at its core. 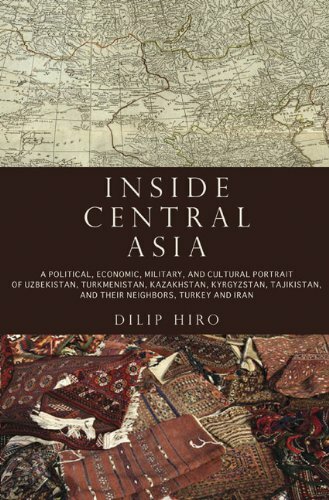 I read Dilip Hiro's "Inside Central Asia: A Political and Cultural History of Uzbekistan, Turkmenistan, Kazakhstan, Kyrgyzstan, Tajikistan, Turkey, and Iran" because I wanted to get a solid introduction to this region, and to this end the book was successful. Although Hiro discusses seven complicated countries, he manages to provide a very comprehensive and detailed overview. Some countries are discussed in greater detail than others (e.g., Uzbekistan gets 73 pages, Kyrgyzstan and Iran each get about 30) but all chapters provide a good starting place for those interested in studying any one country in greater detail. The "Summary and Conclusions" chapter was particularly useful. Hiro's choice to include chapters on Turkey and Iran was logical, given the immense importance of these countries on the past, present, and future of the central Asian republics. Russia (and the Soviet Union), Afghanistan, the United States, and China are not given their own chapters, but they are intimately involved in all of the book's chapters. This is especially true of the Soviet Union, whose policies profoundly shaped Central Asia. The Soviet Union is discussed in detail, and I came away from the book with a much better understanding of its history and policies in the region. After the collapse of the Soviet Union in 1991, Hiro explains how Russia continues to loom large in its so-called "near abroad" (this is particularly true given the large number of Russians who migrated to the region during the Soviet era). The United Stats enters the picture forcefully after 9/11, and its often ambiguous relations with the nascent republics, primarily concerning military bases and human rights, are well discussed. American relations with repressive regimes are especially complex and distressing, as America often turns a blind eye towards--or financially rewards--authoritarian abuses so as to secure reliable military partners in the "war on terrorism." In the troubling case of Uzbekistan, this relationship explodes following the mind-boggling Andijan massacre of 2005. On that note, this book is also a useful study of how corrupt autocrats achieve and hold power through internal and external maneuvering. With the possible exception of Kyrgyzstan, all of the Central Asian Republics have been and still are ruled by strongmen who--having come to power during the collapse of the Soviet Union--have enriched themselves while oppressing dissent, religion, and anything resembling real democracy. Hiro provides interesting portraits of these leaders, who range from megalomaniacal and often amusing (Niyazov "Turkmenbashi" of Turkmenistan) and wildly corrupt (all of them) to utterly savage (Karimov of Uzbekistan). My main gripe is that, despite its title, the book is primarily concerned with the politics rather than the cultures of this region. The role of religion in politics is discussed extensively, but, as another reviewer has mentioned, most cultural lessons take the form of sudden asides on this or that feature of Central Asian life. However, Hiro does a good job discussing the importance of national myth and history (fictive or otherwise) on the nationalist projects of different regimes. My interest occasionally flagged when Hiro presents detailed discussions of Soviet resource production, membership in political parties, and a sometimes bewildering parade of politicians in each country. Also, I couldn't help but notice that Hiro once inexplicably cites Wikipedia for a note on Iranian Jews (note 5, Chapter 7)! I would have liked more discussion of China's influence in the region, especially given that its sizable Xinjiang Uyghur population is frequently included in discussions of Central Asia (the Uyghurs are only mentioned once). Nevertheless, on the whole the book appears well researched and reasonable in its arguments. Generally, if you are looking for an up-to-date and in-depth overview of contemporary Central Asia, "Inside Central Asia" delivers. 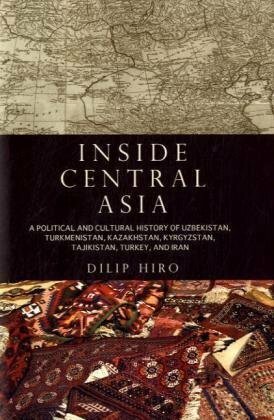 "Inside Central Asia", by Dilip Hiro, provides a good account of the "Stan" nations of Kazakhstan, Uzbekistan, Turkmenistan, Kyrgyzstan and Tajikistan.There is a chapter on each of these nations.Each chapter gives a short history of the nation, but the focus of the narrative is on post World War II era politics and Post Cold War politics.It highlights the influence of the Soviet Union on the Central Asian nations while they were a part of the USSR, and their attempts to find individual paths after the fall of Soviet government in Moscow.It details the struggle of each nation's leaders with the renewed growth of Islam, and the influence from the Taliban in Afghanistan.He gives an excellent account of the mostly corrupt doings of the nation's leaders.Mostly, it explains the constant struggles between Russia, Turkey and Iran to wield overall influence in Central Asia.The book ends suggesting that Russian influence is again on the rise.While Turkish influence was greatest after the fall of the Soviet Union, their power to influence Central Asia waned as Islamism grew stronger in Ankara.Overall, this is a good read to understand modern Central Asia and its politics. INSIDE CENTRAL ASIA: A POLITICAL AND CULTURAL HISTORY OF UZBEKISTAN, TURKMENISTAN, KAZAKHSTAN, KYRGYZSTAN, TAJIKISTAN, TURKEY AND IRAN is a 'must' for any library strong in Asian history and culture, especially as these regions are typically given only cursory attention in favor of Japan, Korea and others. The former Soviet republics of Central Asia represent a politically pivotal region and are essential study for any who would understanding the pressures in the region. Political writer and historian Dilip Hiro's analysis of the politics and daily lives of the peoples of these countries is detailed and essential. This provides a thorough and often insightful account of the recent history of today's five Central Asian states: Kazakhstan, Kyrgyzstan, Tajikistan, Turkmenistan and Uzbekistan. The main focus is on the post-Soviet history of the new nations, but Hiro begins with an introductory chapter on the history of the region, starting from the earliest times and then providing increasingly detailed coverage of the Tsarist and Soviet periods up to 1950. Each of the five nations is then covered in its own chapter, starting with its development in the final years of the USSR, then with its leap to independence, and then the subsequent years of nation building.There are many common themes, including the struggles to reassert (or create) a unifying national identity, to create functioning economies after the post-Soviet economic collapse, the tensions of overlapping ethnic groups, the resurgence of interest in traditional Islam, and a strong tendency towards authoritarian one-party rule. The last twenty years have not always been easy in this region, and Hiro is willing to be fairly hard-hitting in discussing some of the difficulties, including the outright megalomania of Niyazov's personal rule in Turkmenistan, the regional rivalries behind the Tajikistan civil war, and the allegations of high-level corruption in Kazakhstan.He explains the background and consequences of ethnic tensions and Islamic movements in the Fergana valley, including the tensions that led to the tragic Andijon incident. 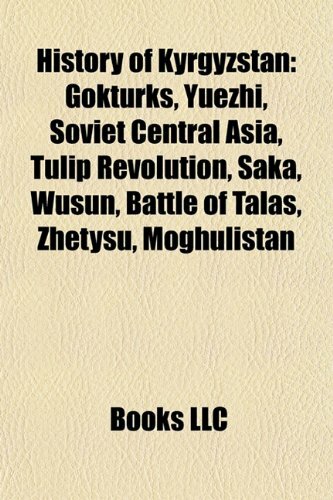 As well as the chapters on the five Central Asian nations, Hiro also includes chapters on Turkey and Iran.These are both useful short histories in their own right, but unfortunately the Turkish chapter is mostly unrelated to Central Asia, other than a few paragraphs noting Turkey's limited influence.The Iranian chapter is much more relevant, with an insightful explanation of how shared fears over the rise of the radical Sunni Taliban led to rapprochement between the generally secular Central Asian regimes and the strongly Shiite Iran. While I found this work generally useful and readable, there are also some weaknesses.The writing quality is sometimes rather uneven and I got the impression that various parts of the book may have been written at different times, for different purposes.Especially in the chapter on Turkey, Hiro sometimes wanders off into strange side topics, such as the introduction of yogurt to 15th c. France. The two included maps are very weak (Kazakhstan's current capital is missing from both!). But these quibbles aside, this is generally a very readable overview of the region.This is an area with a complex recent history, so having a single tightly written account is valuable. I was disappointed with this book as it is not so much about Kyrgyzstan or the people of Kyrgyzstan, but rather about Kyrgyz clothing. The title is misleading; they authors should rename it so that the subject matter is included. It is short on text and features a number of pictures of village people. If you are into clothing and textiles, this is a good book for you. Mine may be available for purchase, very slightly used. The album is an unusual combination of photography and anthropology, art and erudition.Kyrgyzstan is one of those far away, fascinating, little known states in Central Asia. Before being incorporated into the Soviet Union it was nomadic nation, high in the mountains, maintaining for century its particular language, culture and art, which differs visibly from its neighbors'. 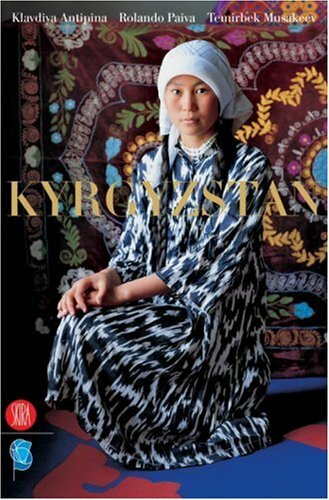 "Kyrgyzstan", published beautifully by Skira,can be madeuse of as a college/university textbook, but also as part of the collection of artifacts from Central Asia. What is most unusual are the photos of Kyrgyz people, taken by Rolando Paiva,the French-Argentinean painter and photographer, deceased in 2003 as he was finishing this album. (It was finally finished by his son Mateo). The photos are of ordinary people, in their everyday surrounding, and Paiva capturedtheir pride, their beauty and the harmony with their surrounding, be it high mountains, be it the very specific Kyrgyz house decoration. The faces on these photos are even more beautiful than I have seen during my many travels to Kyrgyzstan. Paiva captured them as if there was never before in Kyrgyzstan communism, repression, hunger and humiliation.We see beautiful, wrinkled old women, the colorful silk they make, serious, non-smiling children and men in their felt hats.If you were ever inKyrgyzstan - you are thrilledand want to show the book to your friends; those who have never been there - want to go there before this world disappears. The Kyrgyzstan book is a wonderful cultural insight into the various regions that make up The Kyrgyz Republic. In a rapidly changing nation, this book is very much a window in time and place. With a colour plate on the vast majority of pages, it beautifully illustrates the various styles of dress. Once again the Central Asian region is bright on radar screens of international politics. The wave of colorful "velvet" revolutions is sweeping though the former Soviet republics. Rose revolution first followed by orange revolution led to fall Georgia's and Ukraine's corrupt regimes. Now all eyes turn to Central Asia anticipating the same changes to take place in the totalitarian republics of the region. Unfortunately, there is a looming deficit of current books about the Central Asian region. The revolutions in Georgia and Ukraine came as surprise to many precisely due to lack of information about the region. 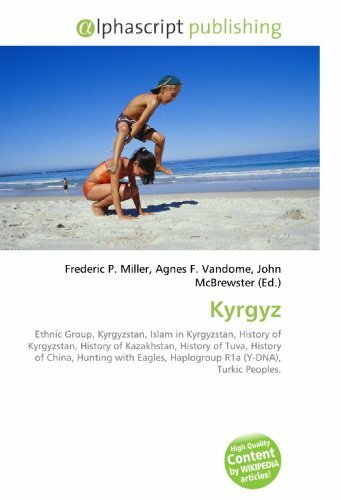 The Historical Dictionary of Kyrgyzstan successfully fills this information gap by providing comprehensive information about Central Asia in general and Kyrgyzstan in particular. The book provides superb up-to-date details about the key players and issues in domestic and international politics. The dictionary describes the history and the current situation of Central Asia. It also provides biographies of major politicians and information about most important political parties and non-governmental organizations (NGOs). The bibliography section is very helpful in finding materials and resources in specialized subject areas. This information is particularly important for analyzing and forecasting events in the country and the region. This is an essential book for beginning students and experienced scholars of Central Asian studies. 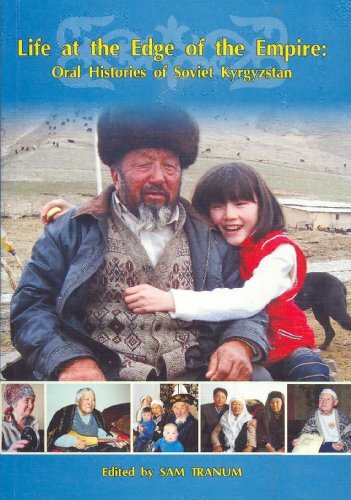 This book is one of the best reference sources on Kyrgyzstan that was ever published to date. It is very well organized and objectively covers most aspects of Kyrgyz history, culture and economic development. The chronology is as complete as it can be. It starts with available facts on early history and gives more detailed list of majour events of the modern time. The introduction gives a brief but comprehensive background on the country and it is alone could be a good source of information on Kyrgyzstan. The dictionary is methodologically written and covers key political, cultural, historical, linguistic, economic aspects of Kyrgyz development. One can even find some interesting - hard to find anywhere else - pieces of information on traditional Kyrgyz culture. The author even explains the problems with different transliteration of Kyrgyz geographic and personal names. The abundance of statistical tables adds to the uniqueness and usefulness of this book. Finally the bibliography is a real treasure that points you in the right direction for further research on the country and the Central Asian region. Very useful book.Even someone like me who has worked in Kyrgyzstan twice and considered myself knowlegeable about Kyrgyz history got a lot about of the book. I especially enjoyed learning more about key figures in Kyrgyz history and the current key political entities.In addition, the dateline is good as is the bibliography. The dictionary written on the base of interdisciplinary approach will be useful for specialists, who are seriously and scholarly interested in Kyrgyzstan as well as to students who are going to discover this Central-Asian country. The important feature of author's skill is to present the past and present of the Kyrgyz Republic as persistent and unique process. He carefully examines the quantity and quality of state, non-government and private institutions and leaderships and their influence on power and politics in country. The author's independent and non-tendentious view on the situation in modern Kyrgyzstan will be useful for national archives, which now are working towards to systematization and classification of current data. The only guide to Kyrgyz history, culture and society. 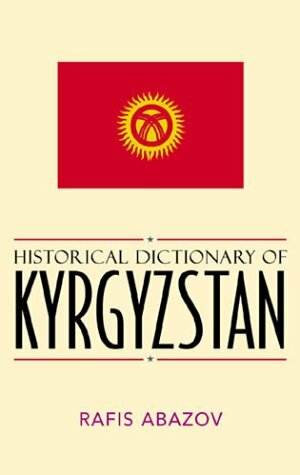 This dictionary is the most useful resourse to date that proves to be a quick and thoughtfull guide for twentieth century Kyrgyz history and society. 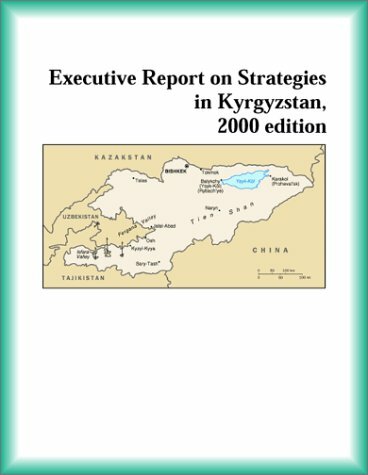 It provides the students of Kyrgyzstan and Central Asia with a concise chronology and a comprehensive list of key issues and concepts. The book demonstrates that Rafis Abazov has done a great deal of research on this neglected region.In addition to being a resource for the history of the region, the dictionary teaches the reader about cultural, social, political and economic facts about Kyrgzystan. 11. Kyrgyz: Ethnic Group, Kyrgyzstan, Islam in Kyrgyzstan, History of Kyrgyzstan, History of Kazakhstan, History of Tuva, History of China, Hunting with Eagles, Haplogroup R1a (Y-DNA), Turkic Peoples. In early 2005 regional protests in Kyrgyzstan soon became national ones as protesters seized control of the country’s capital, Bishkek. The country’s president for fifteen years, Askar Akaev, fled the country and after a night of extensive looting, a new president, Kurmanbek Bakiev, came to power. The events quickly earned the epithet ‘Tulip Revolution’ and were interpreted as the third of the colour revolutions in the post-Soviet space, following Ukraine and Georgia. 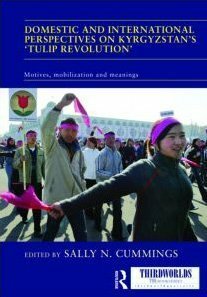 But did the events in Kyrgyzstan amount to a ‘revolution’? How much change followed and with what academic and policy implications? This innovative, unique study of these events brings together a new generation of Kyrgyz scholars together with established international observers to assess what happened in Kyrgyzstan and after, and the wider implications. 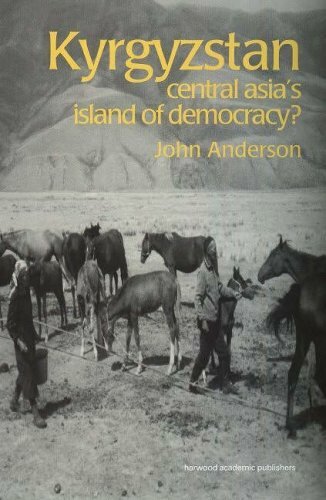 This book was published as a special issue of Central Asian Survey. This digital document is an article from New Moon, published by Thomson Gale on July 1, 2006. The length of the article is 1297 words. The page length shown above is based on a typical 300-word page. The article is delivered in HTML format and is available in your Amazon.com Digital Locker immediately after purchase. You can view it with any web browser. This digital document is an article from Focus on Geography, published by Thomson Gale on September 22, 2005. The length of the article is 2195 words. The page length shown above is based on a typical 300-word page. The article is delivered in HTML format and is available in your Amazon.com Digital Locker immediately after purchase. You can view it with any web browser.